✔️HEALTH BENEFITS. 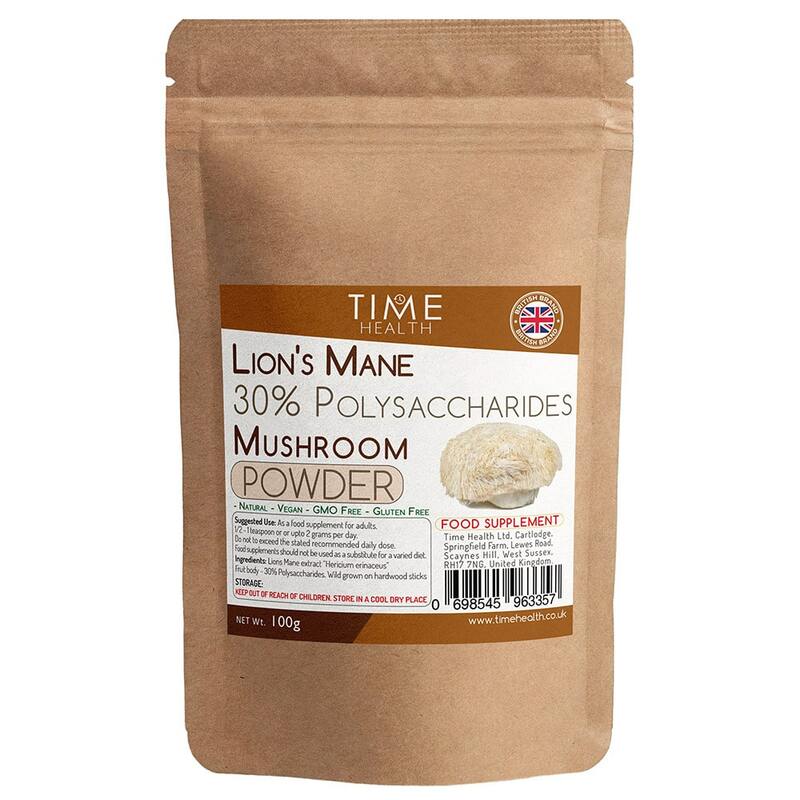 Lion’s Mane 30% Polysaccharides has many health benefits including support of healthy cognitive and gut function. ✔️FULL SPECTRUM, DUAL EXTRACTED. Alcohol and water is used to extract the water-soluble and the non-water-soluble bio active components. 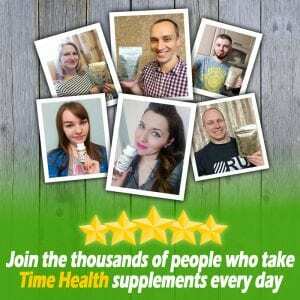 Beta glucans are between 10% and 15% of total polysaccharides. ✔️NATURAL & VEGAN. 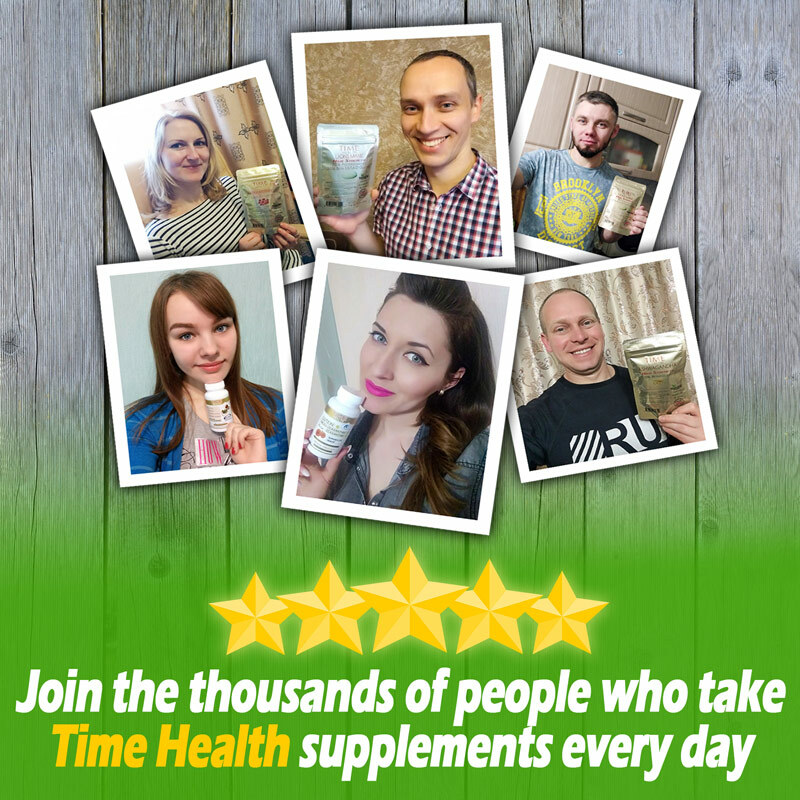 Time Health Lion’s Mane extract is grown traditionally and naturally (not grown in a lab on substrates) on hardwood sticks. 100% vegan product. ***NOTE: Please don’t expect instant results with Lions Mane. Clinical studies done with Lions Mane are done over a MINIMUM of 2 months use. These mushrooms are quite pleasant to take.... just wish they would dissolve more readily in liquid. Too early to say what difference they make. Easy to use has been great addition to my high fat coffee. I have tried many Lions Mane extract over the years and this is probably the best, it takes a bit of time to dissolve in my morning coffee compared to water based extracts i have used in the past, i suppose this is due to this being dual extracted. It has a nice malty taste with only a slight bitter aftertaste which is what a good Lions mane should taste like. I will be buying again.